So you want to know if the Glitter iPhone 6 Case is for you? You have come to the right place. The Glitter iPhone 6 Case is a soft flexible case made from TPU rubber. It bends easily and fits snugly to your phone. It is primarily for those who love things that sparkle. Who doesn’t right? The Glitter iPhone 6 case is comparable to the Glitter iPhone Sticker Skin in its glitter goals, although the later has a frontal, side, top and bottom glitter coverage while the former doesn’t. The difference between the two is one is a case and the other a skin that you stick on to your phone. They are both easy to put on. The Glitter iPhone 6 case slips right on while the Glitter iPhone 6 Skin has to be applied with precision. They both interchange well on the 6 and 6s models, so if you purchase the Glitter iPhone 6 Case for iPhone 6, it will fit your iPhone 6s as well. 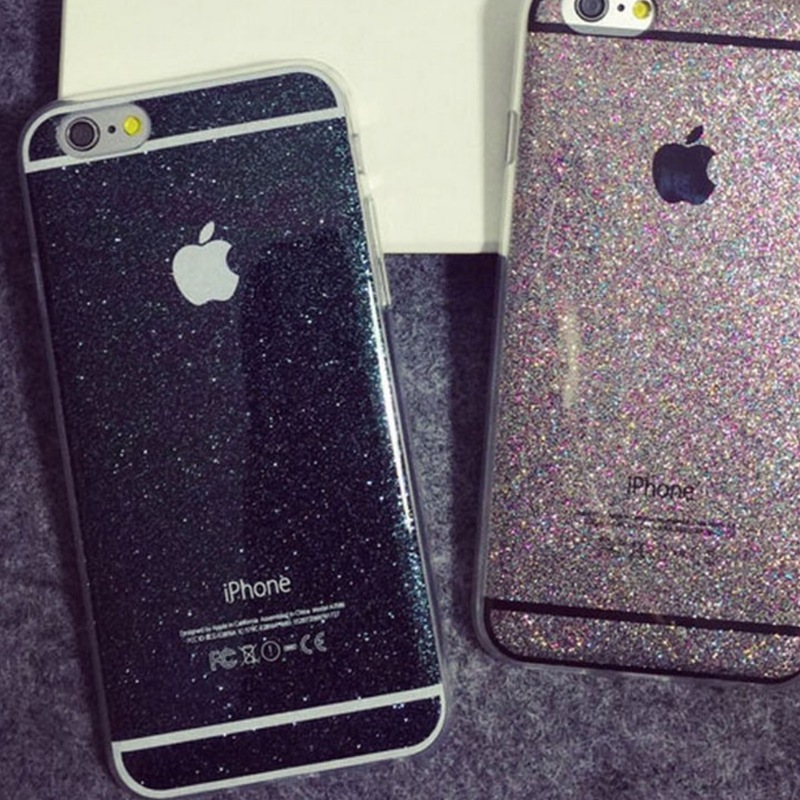 Lets take a look at some pictures of the Glitter iPhone 6 Case vs the Glitter iPhone Skin. You can open the picture to enlarge it and check out the details. As you can see the Glitter iPhone Case also sparkles a lot. Because the sparkles are under the rubber, the has a smooth feel. The sides are clear, so the only part that has glitter is the back. The glitter does not come off on the Glitter iPhone Case or the Glitter iPhone Skin. It is crafted in such a way that the sparkles are maintained without being in 3D. As you can see in this picture of the Glitter iPhone Skin, you get maximum glitter coverage of both the front part of your phone, the sides and the top and bottom. The skin does not have a cushion unlike the case but it will protect your phone from scratches because the body of the phone is primarily covered. 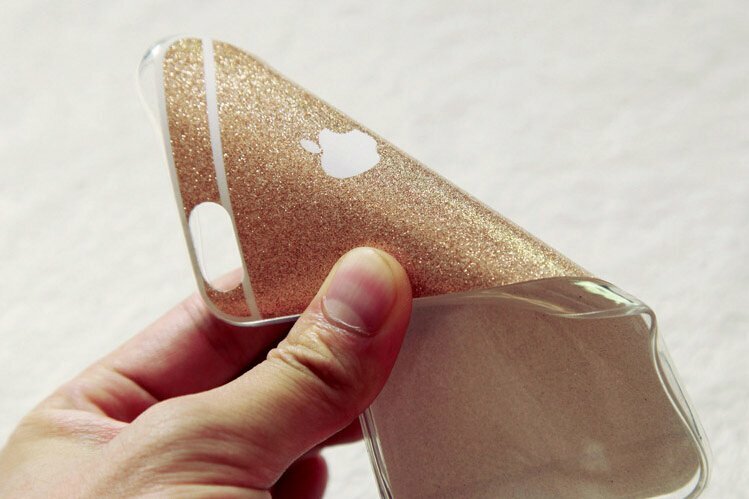 The most popular Glitter iPhone 6 Case colors are Grey, Pink and Gold. Generally, it is a gorgeous case to have. A lot of our customers enjoy their Glitter iPhone 6 Case. It is also available for iPhone 5 and 5s. 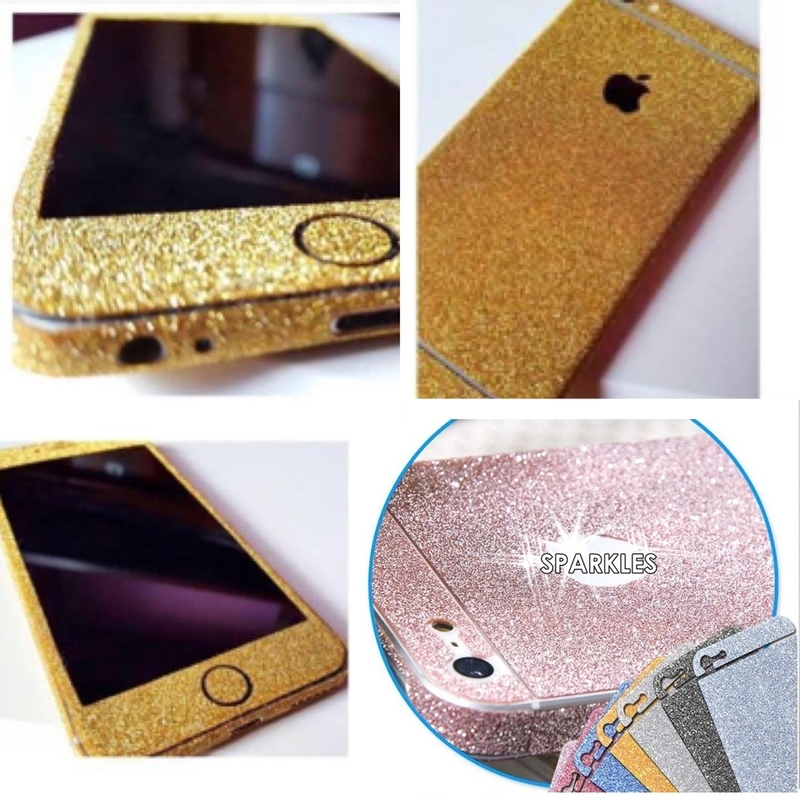 Luxurious Bling offers the Glitter iPhone 6 Case at an affordable price here.